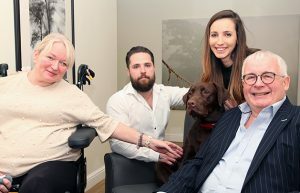 Our home has undergone a comprehensive extension to ensure we continue to provide residents with a home from home that meets their needs and facilities that enhance their lifestyle, whilst supporting their rehabilitation. 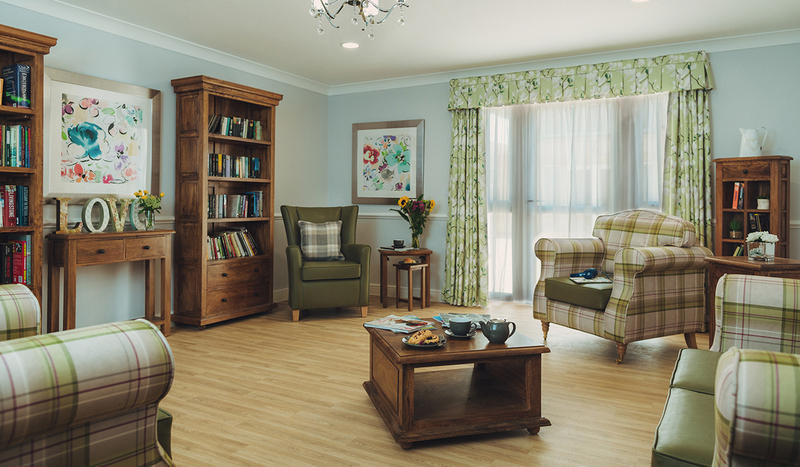 1 Sewardstone Close offers a bright,spacious and vibrant setting that is focused on improving lifestyle choices and independence for our residents. 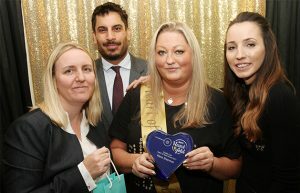 So whether you are receiving nursing care, tracheostomy care or rehabilitation services, you can be assured that you will be looked after in a unique and exceptional environment with outstanding facilities. 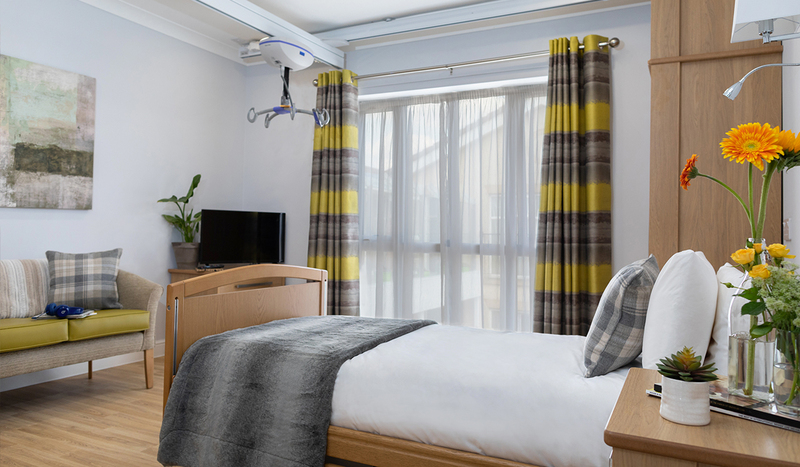 We offer 29 en-suite bedrooms, eight of which on the ground-floor have their own private garden offering residents their own quiet space to spend time with friends and family. Residents who like gardening can cultivate their own space, whilst enjoying the outdoors with Charlie, our own therapy dog. Four ground floor rooms have fitted kitchens enabling residents to be as independent as possible and rebuild skills. All of our first-floor bedrooms are equipped with overhead hoists and an en-suite bathroom capable of accommodating a full-sized shower trolley. All of our rooms have their own TV and internet access for our residents and their families’ enjoyment and recreation. 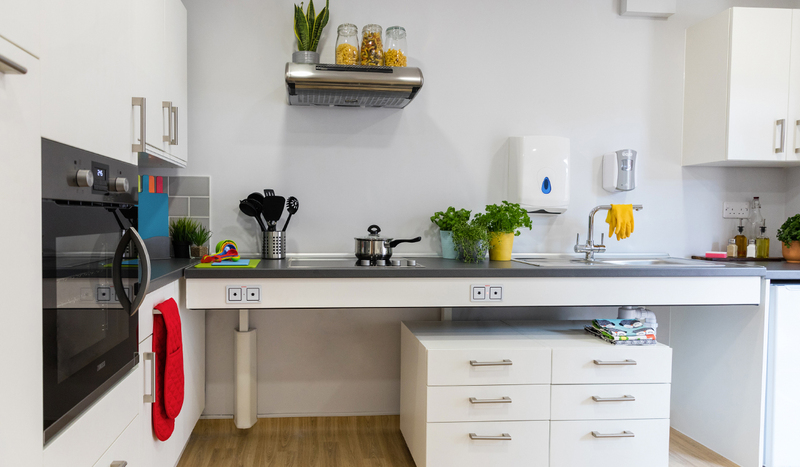 Available to our residents is a skills kitchen designed to support rehabilitation goals with large adjustable preparation services, height adjustable cupboards and equipment that can easily be manoeuvred to support those in wheelchairs. The kitchen is also visually accessible to assist those with visual and cognitive impairments. 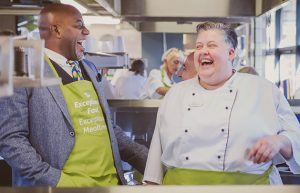 The skills kitchen allows our residents to rebuild skills to support themselves through cooking and serving food which they can then enjoy with their friends and family. Carrying out everyday chores such as preparing and cooking food, doing laundry and cleaning gives feelings of accomplishment and fulfilment. Training for family members is offered in the skills kitchen so they can understand how to support their loved one to be independent in a home setting. The Therapy Gym is a bright and spacious area that really enhances the concept of therapy and is the hub for the therapy team to work with residents. The gym consists of a full ceiling hoist, a ballot trainer for core stability, balance and standing, a tilting therapy table and bed, a therapy bike and parallel bars. The fully equipped gym provides an environment for residents undergoing neurological rehabilitation to be monitored, assessed and up-skilled. 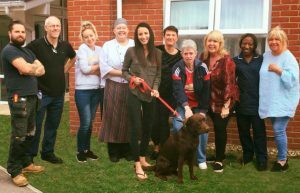 Therapists are fully trained in FIM+ FAM goal monitoring, a widely recognised tool that allows residents and families to see how much progress is being made. Wheelchair table tennis is available in the garden area for residents’ and family enjoyment, whilst supporting specific rehabilitation goals. Included in the garden is a multi-textured and multi-sensory pathway to support residents to improve skills in walking and movement. The garden includes raised planters for those with wheelchairs and enables residents to create colourful beds and grow vegetables and herbs. The garden surfaces have been designed with different textures to promote sensory experiences and to provide therapists with assessment opportunities to determine if residents can safely navigate and change their walking styles. The roof top tea room is fully equipped to offer a comfortable environment for residents and their families to enjoy. Residents as part of their rehabilitation will help run the tea shop, enriching skills to support them when integrating into the community. It is aimed at providing real work experience that not only focuses on functional skills but also offers a social aspect to their rehabilitation. The roof top tea room offers a variety of hot and cold beverages as well as homemade cakes. 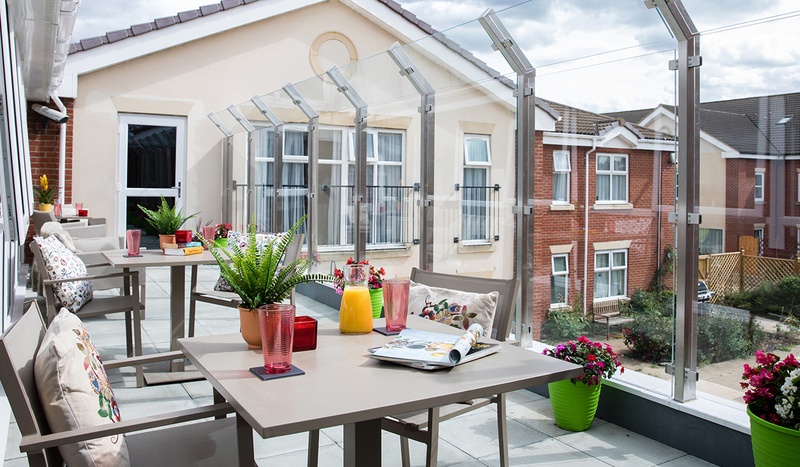 A secluded outdoor balcony with bistro-style seating and patio heaters can be accessed from the tea room, providing residents and families with a covered space to relax and unwind together, whilst enjoying the great outdoors throughout the year. 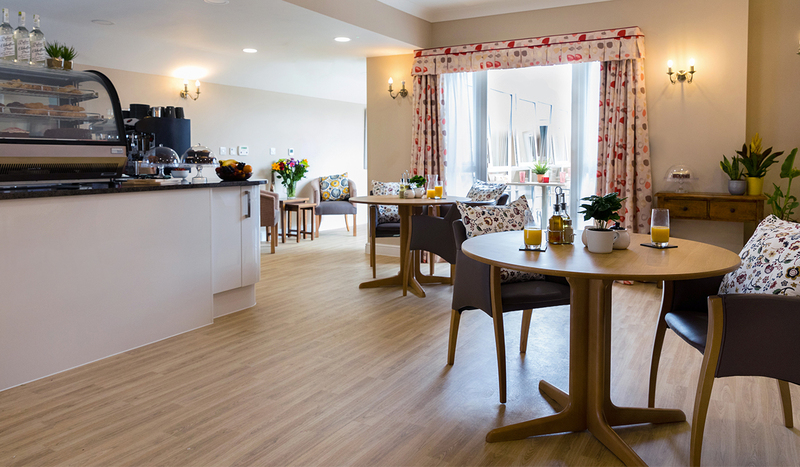 The ground floor ‘Garden Lounge’ provides direct access to the outside courtyard and is a relaxing space for residents to enjoy and socialise with others. It includes a fully stocked library area giving residents access to a huge range of books and audio books. In the garden a wooden ‘snug’ which is wheelchair accessible offers residents another outdoor space for relaxation or to socialise. The planting around the garden has been carefully developed for therapeutic purposes. Herbs such as lavender and chamomile have been included to aid relaxation, as well as mint and rosemary to stimulate the senses. There is also a water feature adding further sensory and therapeutic benefits. The garden has its own BBQ area situated near our under-cover seating area and will be fully utilised during the warmer months for garden parties, special occasions and socialisation. The outdoor, all weather seating area can be utilised all year round for socialisation and alfresco dining. There is beautiful shrubbery on display in this area of the garden, which attracts butterflies and other wildlife to this area of our garden for our residents’ enjoyment. A spa bathroom has been designed to support the physical and emotional needs of residents and includes a specialist bath with hydro pumps to help with circulation, as well as an assisted shower facility. Sensory lighting ensures residents are able to relax and unwind in a calming environment. Residents can enjoy music which is played through the head rest in the bath to create a calming spa experience. A cinema offers residents a widescreen experience, where they can relax and enjoy a comprehensive range of films with popcorn! Everything from the latest releases to old classics, there is something for everyone.